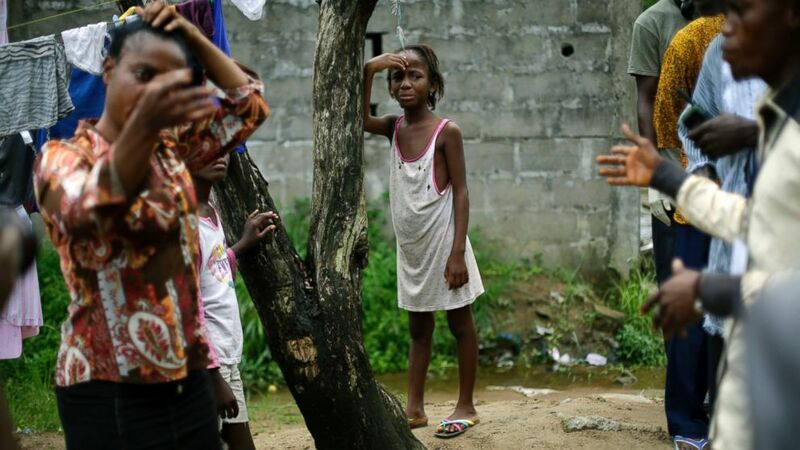 camera (Jerome Delay/AP Photo) Mercy Kennedy, 9, cries the day after her mother was taken away by ambulance and subsequently died of Ebola in Monrovia, Liberia on Oct. 2, 2014. On Sunday, Centers for Disease Control Director Dr. Tom Frieden comes to “This Week” to discuss the latest developments in the race to contain the first case of Ebola diagnosed on U.S. soil. Plus, in our “Sunday Spotlight,” ABC News’ Bob Woodruff speaks with actor and veterans’ advocate Gary Sinise for the dedication of the American Veterans Disabled for Life Memorial opening in Washington, DC this weekend.